A recent report from the Prostate Cancer Foundation (PCF), here in the US, found — unsurprisingly to your sitemaster, at least — that the average American remains very poorly informed about risk for prostate cancer and associated issues. You can download the full report if you click here. The PCF’s report was based on an online survey of just over 2,000 American residents (men and women) of 18 or more years of age in March this year. The report was issued a few weeks ago (during prostate cancer awareness month), and an associated media release can be found if you click here. 50 percent of the men and 43 percent of the women surveyed thought that testing for risk of prostate cancer necessarily involves a physical examination (as opposed to just a blood test). 21 percent of millennials thought that women could get prostate cancer. 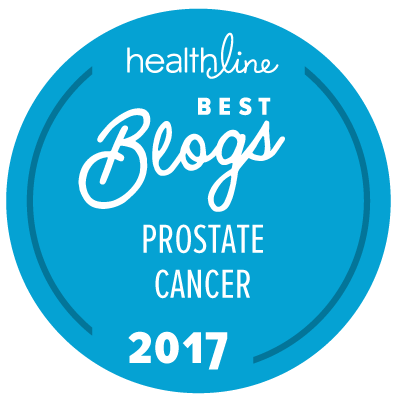 69 percent of respondents either believed that there are noticeable symptoms of early-stage prostate cancer or were unsure about this. Men (32 percent) were more likely than women (29 percent) to believe there are noticeable symptoms of early-stage prostate cancer. Men tend to have negative feelings about going to get tested for risk of prostate cancer because they think that the tests will put them in extreme discomfort and/or an embarrassing position. Simply telling every man that they need to get “screened” for their risk for prostate cancer is not a good solution to this problem. There are many different reasons why a specific man may be at risk for prostate cancer, and relevant and appropriate messaging needs to take account of these reasons. Telling every man that getting tested for risk of prostate cancer does not involve a physical examination would also be highly misleading. One can initiate testing for risk of prostate cancer with a simple PSA test, but a thorough examination for risk of prostate cancer does and should involve a digital rectal examination (DRE). Some forms of clinically significant prostate cancer are more likely to be diagnosed early on the basis of a DRE and are not going to be suspected on the basis of a PSA test alone. It is a human characteristic to want simple answers to very complex questions. What one should know — and what one should be willing to do about — one’s individual risk for certain common disorders are two of those common questions that don’t usually have good, simple answers. However, all too often we are told that there are simple answers to these questions. These four types of cancer are also the ones responsible for about 43 percent of all cancer deaths among men and 47 percent of all cancer deaths among women every year. Only one of them is simply and relatively highly preventable. We are all at some degree of risk for all four of these cancers. But that risk varies — a lot — from person to person. If you don’t want to get cancer of the lung or the bronchus — don’t smoke (and that means cigarettes or anything else). But do also understand that some people get lung cancers even though they have never smoked in their lives. Interesting study. I found this fascinating: 21 percent of millennials thought that women could get prostate cancer. Actually, a transgendered person (from male to female) can get prostate cancer since the surgery does not remove the prostate. I forwarded to everyone for whom I have e-mail addresses to include family, friends, overseas friends, and physicians.